You know how sometimes when you’re watching something online and the audio falls out of sync with the video? Otherwise, yeah. I know you’re turning. I can see it happening live right in front of me. 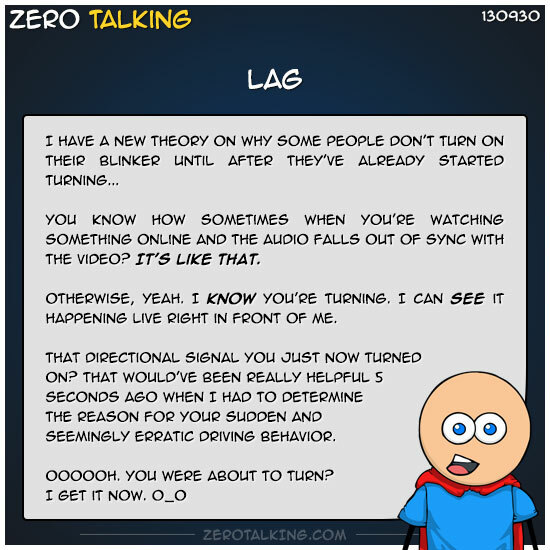 That directional signal you just now turned on? That would’ve been really helpful 5 seconds ago when I had to determine the reason for your sudden and seemingly erratic driving behavior.